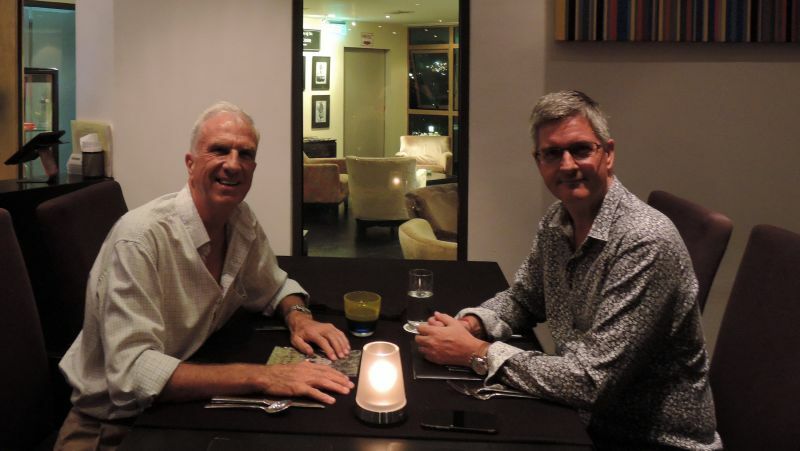 Bart Duijkers is one of Phuket’s best-known hoteliers, restaurateurs, developers and entrepreneurs with extensive experience in all these sectors in Phuket dating back from his arrival here in 1989. 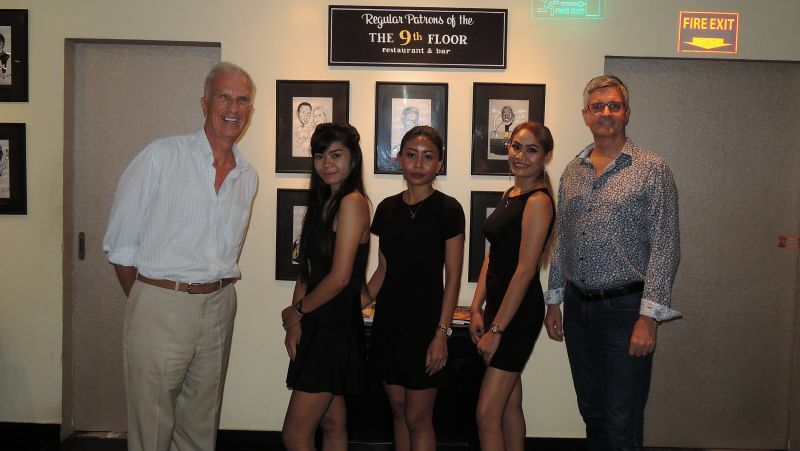 He recently took over the highly successful 9th Floor Restaurant on the top of the Condotel building off Rat-U-Thit Rd in the heart of Patong. It was here that we enjoyed a superb supper created by Bart’s widely-experienced Consulting Executive Chef Anthony Reynolds and served by the beautiful 9th Floor ‘angels’… the lovely waitresses who float about this elegant, clubbable space ensuring that every customer feels pampered. Since 2008 Bart has managed his own company, Basic Elements, which is focused on real estate, restaurants and fine wines. Basic Elements manages a wine wholesale and retail business (for importer BB&B), the 9th Group (the 9th Floor; the 9th Glass Wine Bar and Bistro; the 9th Grape on-line wine retailer; and the upcoming 9th Spoon Tapas Bar), plus a property brokerage. Bart is fluent in five languages, including Thai, and his philosophy of building and managing property complexes of high calibre goes back to when he started with Forum Hotels in Amsterdam in 1984 as an assistant office manager. His first Thailand appointment was as Resident Manager of the Amari Coral Beach Hotel in 1989, and he also spent three years as GM of the famous Boathouse Resort on Kata Beach. Bart was also a ‘greenie’ long before it was fashionable and continues to be involved with several Phuket environmental projects. I asked Bart how recent changes in the economy, regulatory environment and arrivals patterns had impacted his businesses. I asked Bart about the support that he gets from the public sector as an entrepreneurial businessman trying to boost Phuket’s attractiveness and (tax-generating) revenues. I mentioned to Bart that in this ongoing series of articles I’d discovered that attitudes towards Phuket’s future varied depending on how ‘invested’ the respondent who I was dining with was in the island. Sitting in a fabulous restaurant like the 9th Floor looking out over the lights of Patong while being waited on by lovely Thai ‘angels’ it was easy to think all is well with Phuket.